I found this pdf whilst searching the internet for information about the Holy Ghost Festival in The Azores – It’s a wonderful read. The Holy Ghost Festival is an annual religious celebration that takes places on The Portuguese islands of the Azores. Religion plays an integral role in the lives of Azoreans, and this festival in particular is very momentous. This essay will focus on the continued importance that this tradition holds for Azorean-Americans living in North America. It is interesting that this tradition has survived with such strength in the States, especially among second-generation Azorean-Americans who have never even visited the islands. Currently in New England, there are 70 active Holy Ghost brotherhoods in the States of Massachusetts and Rhode Island (Leal, 4). This festival is also widely celebrated in California, another common region of immigration for Azoreans. 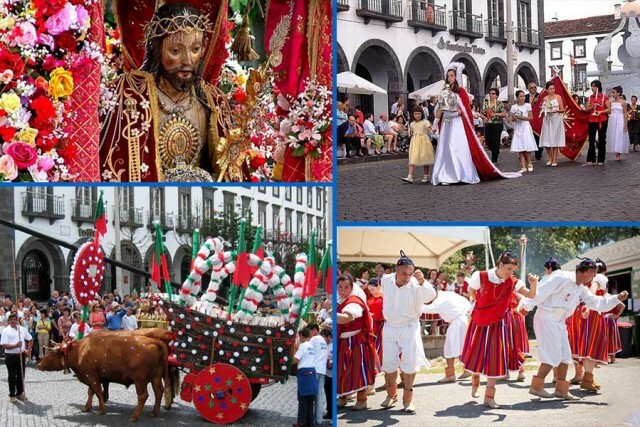 The Holy Ghost Festival is important for Azorean-Americans for three distinct reasons: it provides a link between individuals and their heritage, helps people form ties with their new land, and is also a very important context for socializing. Firstly, it is important to have a good understanding of the origins of the Holy Ghost Festival. This tradition stems from a promise given by the 13th century Queen of Portugal, Queen Saint Isabel. This lady is considered a model of charitable behaviour, as she was known for feeding the poor and her modest conduct. It is said that her husband, Dom Diniz, and her son quarreled for years, and it seemed certain that their quarrels would escalate to a battle. Queen Isabel was very distressed by this, and entreated the Holy Ghost to stop their arguing. If this request were granted, she promised to hold a ceremony every year in honour of the Holy Ghost, in which she would put a poor man on her throne and crown him with her own crown. Her prayer was answered, and her husband and son resolved their disagreements; this was the birth of the Holy Ghost Festival in Portugal (Salvador, 301). In modern times, the festival begins on Pentecost Sunday, and often runs throughout the Spring (Salvador, 303). It is organized by the Holy Ghost brotherhood of each parish in collaboration with the Emperor. The Emperor, customarily, is chosen as the man who asks for help from the Holy Ghost and promises a festival in return for having his prayers answered, much as Queen Isabel did (Leal, 11). The celebrations include Mass, community meals, traditional music and dancing, stalls with Azorean food, and a procession. The procession includes a large silver crown, mounted with a cross, traditionally carried by the Emperor. However, in California in modern times (as well as in many other American versions of the festival), it is the Queen of the Festival who carries the crown. The crown rests upon a silver pedestal. The procession also includes a silver scepter tipped with a dove, the sign of the Holy Ghost. There are many attendants to the Emperor or Queen dressed in white and there is often a young girl in a blue cloak carrying red roses, to symbolize Queen Isabel (Salvador, 304-305). The Holy Ghost celebrations are so important to Azorean-Americans because they provide a link between these individuals and their heritage. The Holy Ghost brotherhoods in America are often formed by people from the same parish or island in the Azores, and these are two very important elements of the Azorean identity (Leal, 5). In this way, the Holy Ghost festivals provide a very direct connection between individuals and their former community in the islands. Azoreans have a very intimate connection with their homeland. They often speak of a certain saudade, roughly translated as “nostalgic longing” for their place of birth. 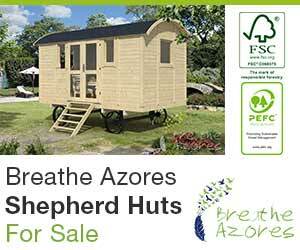 This aching for the Azores is softened through taking part in familiar Azorean traditions in their new home. The importance of Azorean religious festivals for immigrants to America is characterized in Alamo Oliveira’s novel, I No Longer Like Chocolates. Oliveira describes the way in which people of Azorean descent are drawn to the festivals: “They spent hours and hours in their cars with the same intensity of sacrifice as making the pilgrimage barefoot… in order to drain away the anguish of their saudade” (81). The familiarity of the Holy Ghost Festival, so popular in the Azores, gives comfort to emigrants and helps them feel a sense of belonging. Photographs and videos of the celebrations are often shared among families and friends divided by geography (Salvador, 314). The physical separation between these people and the islands is made up for in part by their union with the Holy Ghost, which they are still able to share in common with their friends and family in the islands. It is interesting to note that children and young people play such an important role in the Holy Ghost celebrations, particularly in the procession. The idea behind this is to keep the tradition alive among second-generation immigrants. It is often the case that second-generation immigrants are completely Americanized, and it is easy for them to lose any sense of identification with their cultural background. In order to stop this from happening, organizers attempt to involve young people as much as possible and include activities in the celebrations that will appeal to their age group. In some communities, a small-scale celebration directed and performed by the children has been integrated into the festivities (Leal, 10-11). This way, children grow up with the tradition and are able to maintain a connection with their heritage. While the Holy Ghost Festivals help Azorean-Americans to regain their Azorean identity, they also help to establish new ties between individuals and their new home in America. American culture has slipped into the Holy Ghost festivals. Local political authorities have become a part of the processions. American flags are also often a part of the procession, along with the Portuguese flags (Salvador, 307). The music played during the festivities sometimes includes American pop or rock bands, in addition to the traditional folkloric music of the islands, and the food offered at the stalls is often a mixture of American fast food and customary Azorean dishes (Leal, 17). During the war, American symbols were particularly dominant in the processions, with people dressing in sailor and Red Cross nurse costumes or in the olive colour of the army in support of their new country (Salvador, 307). The inclusion of American symbols without the loss of Azorean traditions is crucial in allowing Azorean-Americans to embrace their new culture without losing sight of their own. The Holy Ghost Festival is also significant because of the social context that it provides. Organizing and preparing festivals as elaborate as these requires a great deal of collaboration among the people in the community. This is very important, as it helps unite communities and keep families together and allows people to make new friends. People travel from very far away to attend these festivities, so it also gives people a chance to obtain news from other communities and to keep in contact with family and friends that they might not otherwise see. Holy Ghost Festivals are also often seen as important opportunities for courtship, especially in the case of the processions where Emperors have been replaced with Queens. Azorean-Americans travel from far and wide to attend the celebration, and this provides an excellent occasion for young Azorean-Americans to meet new people who share their culture. The procession often takes on some aspects of American coming-out events, and allows young unmarried women taking part in it to present themselves formally to communities outside of their own (Salvador, 311). As has been demonstrated, the Holy Ghost Festival plays a very important role in the lives of Azorean-Americans. It strengthens the connection between these people and their homeland, helps them establish a relationship with their new home, and provides an excellent occasion for social interaction. The festival provides a balancing point between remaining alienated from their new culture and completely assimilating themselves with it, while at the same time encouraging the formation and preservation of societal bonds. Leal, João. “Traveling Rituals: Azorean Holy Ghost Festivals in Southeastern New England.” Centro de Estudos de Antropologia Social. 2005. Web. 6 Nov. 2011. Oliveira, Álamo. I No Longer Like Chocolates. Trans. Diniz Borges and Katharine F. Baker. San Jose: Portuguese Heritage Publications of California, 2006. Print. Women in the Azores and the Immigrant Communities Vol II. Ed. Rosa Maria Neves Simas. Ponta Delgada: Empresa Gráfica Açoreana, 2003. 299-316. Print.